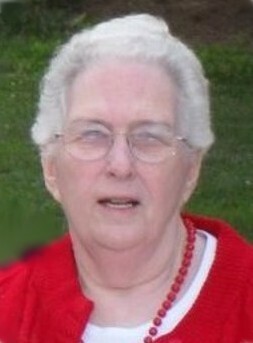 Fort Fairfield – Jean M. Brown, 83, wife of Rev. Bernard L. Brown, passed away Sunday evening, April 7, 2019 at a Caribou nursing facility, following an extended illness. She was born December 1, 1935 in Presque Isle, the daughter of Cyrus and Hazel (Brown) James. She was a graduate of the Presque Isle High School, Class of 1953 and later attended the Northern Maine Vocational Technical Institute, Presque Isle where she attained her C.N.A. certification. Jean was married to Bernard L. Brown on September 24, 1955. She was a member of the Fort Fairfield and Presque Isle Wesleyan Churches and played piano at several churches to which she and Bernard were assigned over the years. She also loved to knit and research genealogy, having traced her family’s lineage back to the fifth century. In addition to her parents, Jean was predeceased by one brother, Lawrence James; two sisters, Irene McLaughlin and Mildred Hayes. She is survived by her husband of more than sixty-three years, Rev. Bernard L. Brown of Fort Fairfield; three sons, Scott A. Brown and his wife Sherie, Kevin J. Brown, all of Presque Isle, Dale F. Brown of Fort Fairfield; one daughter, Latitia D. Worcester and her companion Kerby Doughty of Fort Fairfield; four grandchildren and spouses, Andrew and Katie Brown of Washburn, Zachary Worcester and his fiancé Molly of Old Town, Rachel and Patrick Emery of Fort Fairfield, Paige and Dan Rooney of Mapleton; five great grandchildren, Remi, Jaxon, and Pheobe Brown, all of Washburn, Cyrus and Drake Emery, both of Fort Fairfield; several nieces and nephews. A graveside service will be conducted Friday May 24, 2019 at 2:00 p.m. at the Union Cemetery, Houlton Road, Fort Fairfield with the Rev. Mel Norton and the Rev. Bud Fancy officiating. Those who wish may contribute in Jean’s memory to the Presque Isle Wesleyan Church, P.O. Box 763, Presque Isle, Maine 04769. Arrangements have been entrusted to the Giberson-Dorsey Funeral Home, 144 Main Street, Fort Fairfield. Online condolences may be expressed at www.gibersondorseyfuneralhome.com .